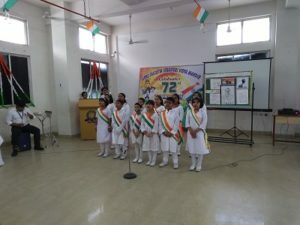 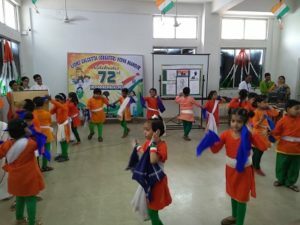 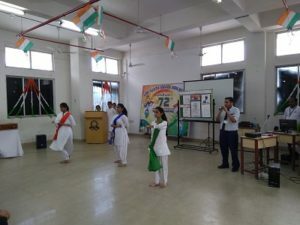 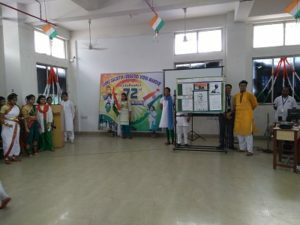 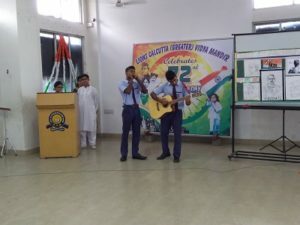 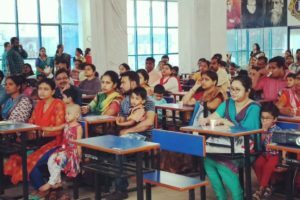 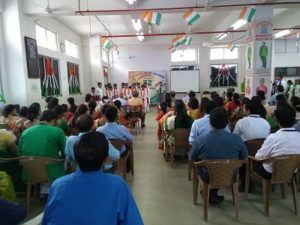 The students, teachers and the staff of LCGVM commemorated the 72nd year of Indian Independence on 15th August 2018 with enthusiasm and patrioticzeal that surpassed those of previous years. 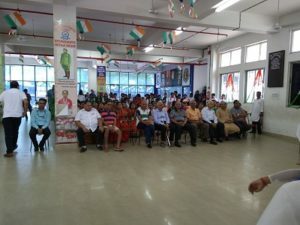 The honourable members of the School Managing Committee and the other esteemed dignitaries of the Lions Club graced the occasion. 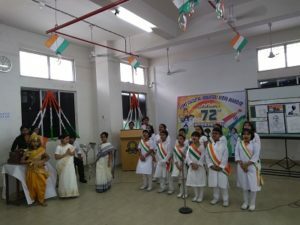 Emotions flew high when the president of the SMC Lion V.D. 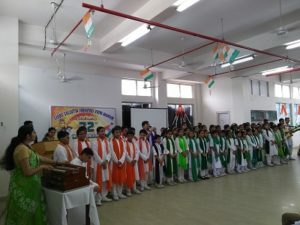 Jhunjhunwala unfurled the National flag and everyone sang aloud the National Anthem in all its glory. 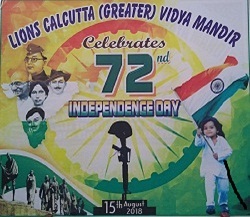 The gamut of cultural programmes which followed recounted the bravery and the heroic deeds of our freedom fighters. 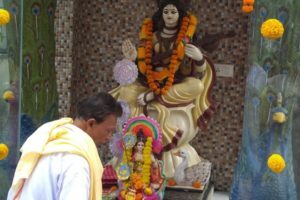 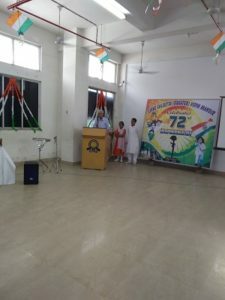 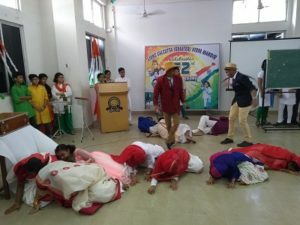 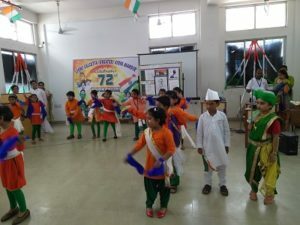 A speech by as student, song by the choir group, a skit in English, tableau by the tiny-tots, and patriotic recitation coupled with dance reignited and rekindled the fire of patriotism in all. 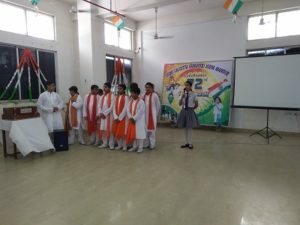 When it was announced that LCGVM was awarded the Best school in the drawing competition held at Ramkrishna Mission Narendrapur , and our very own students have qualified for the National level in Table tennis and the first round in Kabaddi organised by the CISCE, we could not help but cherish the glory . 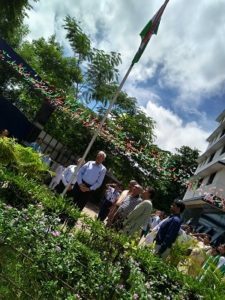 The President of the SMC then in his speech, urged the students to take pride in their work, their school and their country. 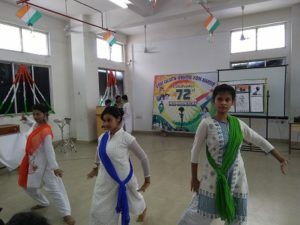 Indeed it was a day of joy and a day to love and respect our country and make it a better place for Indians to live and experience thefreedom, peace and unity in diversity.